The Future Now Mini Mart carries a wide variety of products from the near future. Some of these products have already arrived in the present, while others are still just over the horizon. Mini Mart products are arranged on this website according to familiar categories, just like any other online retail site. Upon attempting to purchase products, you may notice that products will fall into three other categories. Many of the products carried at the Future Now Mini Mart are currently out of stock. This is because they simply do not yet exist. These products are what we call Artifacts from the Future. Just as an archeologist digs up artifacts from the past, we can create Artifacts from the Future. These Artifacts represent bits a pieces of possible future realities, and they allow us to imagine a world in which that object could exist, for better or worse. Not everything at the Mini Mart comes from the future though. Some Mini Mart products exist in the present, or sometimes just over the horizon. “Out Of Stock And Available” products will link to the company, lab, hackerspace, or startup where you can order or pre-order the product. IFTF does not take any commission on these products. They are mixed in with Artifacts from the Future to help blur the line between what is real and what is possible, and we think they are interesting. Some products are available for order from the Mini Mart. These products are limited to publications or SWAG from the Institute for the Future, and books written by IFTF Researchers and IFTF Research Affiliates. Please note* we are currently working on setting up supply logistics for you to be able to order “Available Products” through this online store. While products are not yet available for purchase online, you can pick them up in person at the Mini Mart retail store. Now Open in Palo Alto, California! 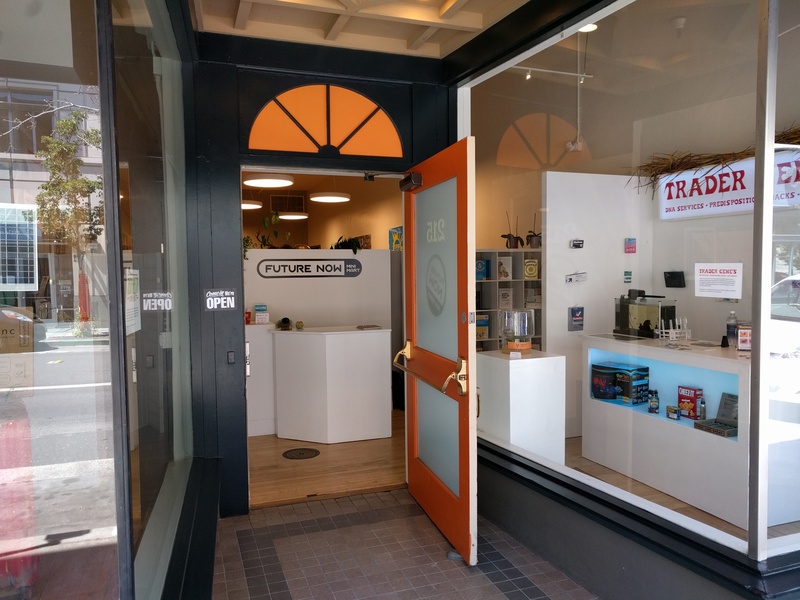 The Future Now Mini Mart is brought to you by the Institute for the Future, an independent, non-profit research organization with a more than 45-year track record of helping all kinds of organizations make the futures they want. Our core research staff and creative design studio work together to provide practical foresight for a world undergoing rapid change.